Andreas Eiler raised to 2,000 from the button after which Daniel Neilson three-bet to 4,800 from the small blind. WSOP Main Event runner up Jesse Sylvia had 25,000 in front of him and moved all in from the big blind. Eiler folded his cards and Neilson made the call. The board ran out and Sylvia was knocked out. 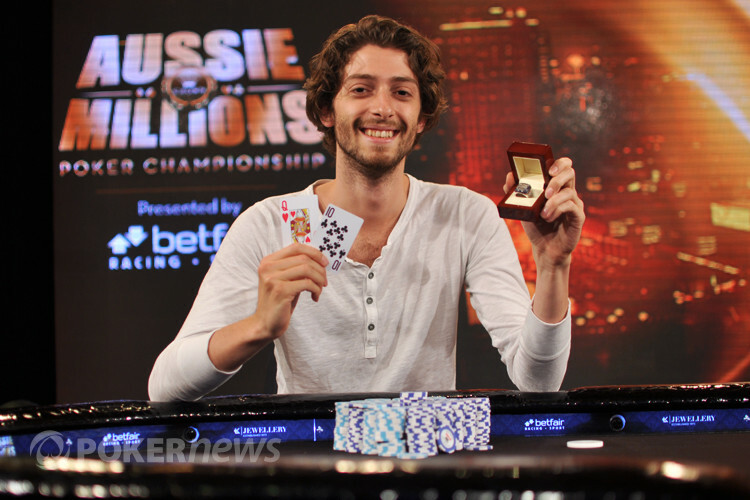 Igor Kurganov Wins Aussie Millions $25,000 Challenge (AU$275,000)! Igor Kurganov, Winner of the 2013 Aussie Millions $25,000 Challenge!